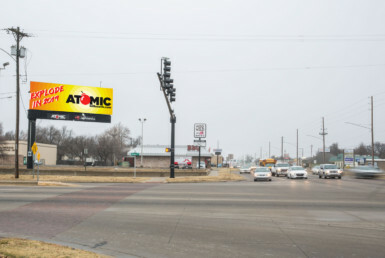 Atomic Billboards – Blow it up! 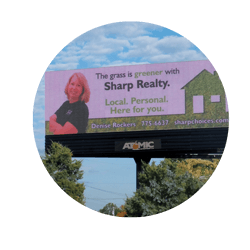 Increase brand awareness … Create some buzz! 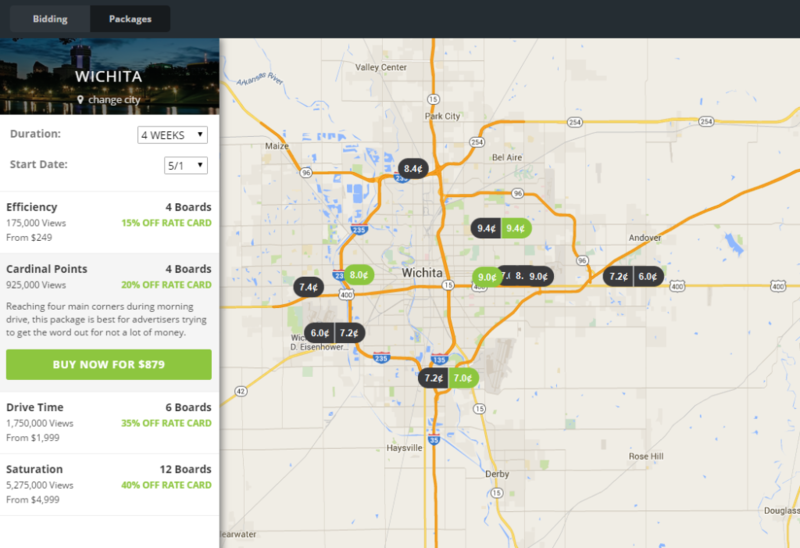 Real-time ad buying, analytics and innovative ad campaigns! Great for promoting brands in premium locations require six-month or annual contracts. 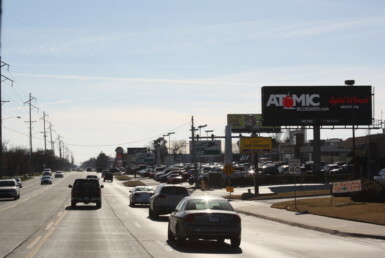 For additional information on Atomic’s Large Format Wichita Digital Network – click to download “Size Matters” which compares the Atomic large format network & footprint to lower priced local digital poster networks. 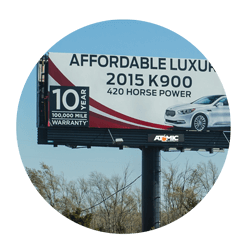 Fliphound is the first automated on-line buying platform for billboards. 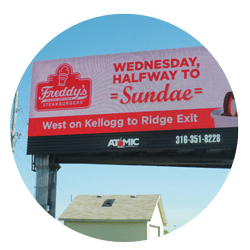 From building your campaign, creating artwork, to making payments, and monitoring campaign effectiveness we make it easy to buy and execute billboard campaigns. Fliphound provides several options for advertisers to execute ad buys: Packages, Real-Time Bidding, and Contracting. It is all about providing options and flexibility to advertisers and digital marketing experts. Advertisers can buy guaranteed impressions and set up campaigns using the Packages and Contracting functionality. Real-Time Bidding allows advertisers to bid for inventory and execute campaigns on demand in real-time. 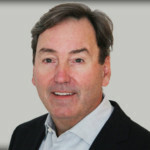 Founded Robertson, Piper Software Solutions Group, Inc. (RPSG) and served as its CEO and President. Prior to RSPG he was heading Platinum Equity’s Silicon Valley practice. He has raised and invested more than $75+M and returned $300+M to investors. 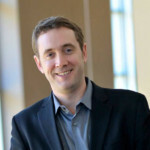 Doug is a co-founder of Fliphound. 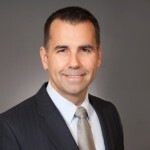 A former CEO/CTO of KeyCentrix & FlexTrax Solutions with more than 20 years of experience as a software architect with multiple patents filed. Additionally, he was a participant in BottomDollar.com that made an exit in 2000. He is a recongnized entrepreneur and member of the Electrical Engineer 2012 Pipeline Innovators class, sponsored by Microsoft & The Kauffman Foundation. Brandon is a co-founder of Atomic BIllboards and Fliphound. 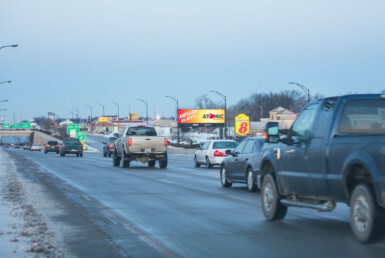 He has developed software used daily by the Atomic sales team to generate outdoor campaigns. Jeff has more than 20 years serving in senior management positions in the financial services industry, divided between New York and London. He oversees billboard owner relations and Fliphound’s network growth since 2016.